Check out Tobi's Dreamer Long Sleeve Dress You’re a bohemian daydream in the White Dreamer Long Sleeve Dress. 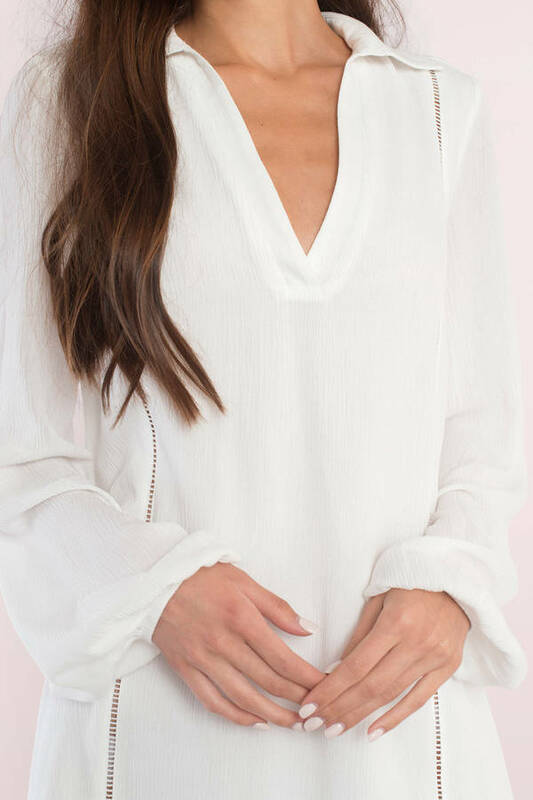 It’s simplicity in its finest: this long sleeve shift dress features a deep v neck, a cute collar, and a short cut that is so versatile. You’ll love pairing this casual shift dress with a gold choker, layered necklaces, a fistful of rings, and lace up heels or combat boots for an artsy look. Dream away, babe. You’re a bohemian daydream in the Olive Dreamer Long Sleeve Dress. 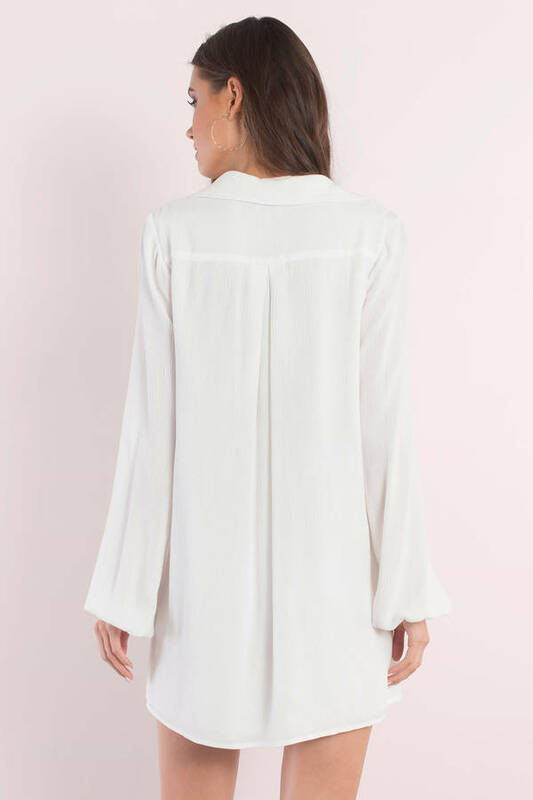 It’s simplicity in its finest: this long sleeve shift dress features a deep v neck, a cute collar, and a short cut that is so versatile. You’ll love pairing this casual shift dress with a gold choker, layered necklaces, a fistful of rings, and lace up heels or combat boots for an artsy look. Dream away, babe. You’re a bohemian daydream in the Black Dreamer Long Sleeve Dress. It’s simplicity in its finest: this long sleeve shift dress features a deep v neck, a cute collar, and a short cut that is so versatile. You’ll love pairing this casual shift dress with a gold choker, layered necklaces, a fistful of rings, and lace up heels or combat boots for an artsy look. Dream away, babe. You’re a bohemian daydream in the White Dreamer Long Sleeve Dress. 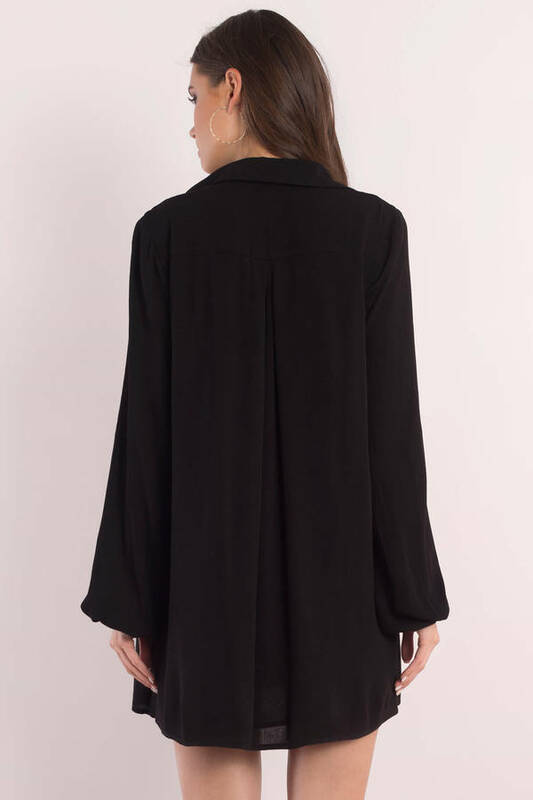 It’s simplicity in its finest: this long sleeve shift dress features a deep v neck, a cute collar, and a short cut that is so versatile. 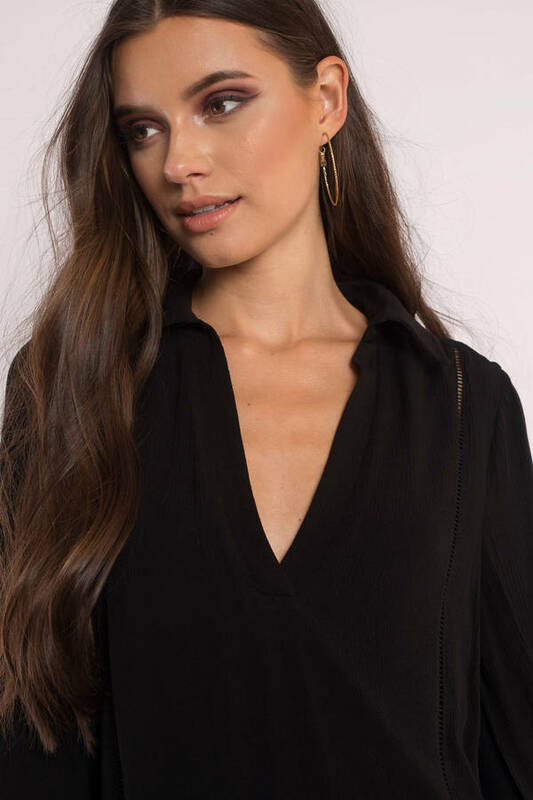 You’ll love pairing this casual shift dress with a gold choker, layered necklaces, a fistful of rings, and lace up heels or combat boots for an artsy look. Dream away, babe. White, Black, & Olive modeled on a size Small.